We have a serious problem as a society, and one that has been spreading and deepening for decades: we are afraid of eating fat. Butter, rich cheeses, cream, red meats, eggs, oils and even avocados have been demonized by every nutritionist and “food expert” for years. At best, they allow tiny amounts of certain foods. At worst, they advise you to cut them out entirely. We have turned to low-fat substitutions. We have restricted our consumption of fatty foods in an attempt to shed pounds and become more healthy. We have eaten boiled chicken breast, sweet potatoes, brown rice and steamed vegetables for years. The obesity epidemic is linked by the media on a daily basis to fat-filled foods. Health professionals swear that the current MyPlate guidelines work. Everyone should be in tip-top condition. Yet, even as people eat less and move more (the alleged “magic formula” of weight loss), we are getting bigger and bigger. Obesity is everywhere, diabetes is skyrocketing, heart disease is killing more people than ever before. We are eating ourselves to death. The truth is, fat is not the enemy. In fact. fat is your friend. It is filling, provides the energy your body and brain need to run efficiently, and regulates blood sugar. 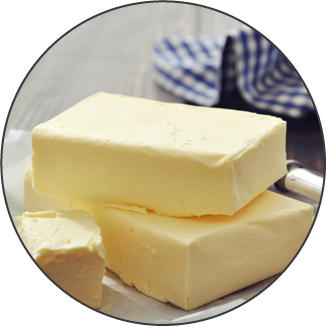 Studies have found several times over the years that saturated fat does not cause heart disease like previously believed. Even cholesterol is no longer linked so directly to high fat diets. A panel in 2015 found that dietary cholesterol did not cause a rise in body cholesterol. High fat diets, while they could cause some raise in LDL (bad cholesterol), could also lower it. They can raise HDL (good cholesterol). So why do doctors return time and again to fat as the cause? Because the figures appear to have been skewed by overall cholesterol, in spite of people’s health improving on a high fat diet. Then there is the weight issue. Eating a Low Carb High Fat diet is an effective way to reduce overall body fat. Many people who have struggled with their weight their entire lives find reaching or maintaining a healthy weight with this style of eating simple. A diet high in fat instead of sugar causes the body to retain a fasting state even when consuming regular meals. This releases ketones, which your body uses for energy, along with the fat already on your body. All while reducing hunger and giving a boost in stamina and clarity of mind. We have been brainwashed into fearing fat. Not out of maliciousness, but by misinformation that has shaped our current societal views on diet. It is time to break free of that misinformation and take back our health. That starts with kicking that fear of fat right out of our collective brain. Our first step is reframing the issue. Think of this task as overcoming your addiction to sugar, and your bodies obsession with glucose. Your reliance on carbohydrates, whether they come from candy bars, ice cream, whole grains or potatoes, is affecting you more than you know. If you cut your carbs, your body no longer has the glucose it needs to function. That has to be replaced. Protein doesn’t work as an alternative macronutrient, because it is not an energy source. It is a restorative agent that repairs muscles and helps run certain systems in the body. When you eat too much protein, it is converted into glucose in the same way carbohydrates are. In other words, increasing protein consumption to replace carbs is counterproductive. That leaves fat, and brings us to step two: adding fat back into your daily diet. Olive oil, coconut oil, olives, full fat cheese, heavy cream, nuts, seeds, fatty meats…these are just some of your options. Check out our post, “How To Eat More Fat, Without Going Crazy On The Protein” for more ideas. Don’t expect to feel comfortable with this right away. Many people struggle at first to overcome their fear of fat. They might not eat enough and find themselves hungry. But keep at it! One suggestion we give to new clients is to set a deadline. Give yourself a certain amount of time where you are going to try Low Carb High Fat, and monitor the results. We recommend two to three weeks to begin seeing the results. As you realize you are eating fat and feel great, your anxiety should begin to pass. Seeing the number on the scale drop doesn’t hurt, either! Fatphobia is a problem, but we have the solution! It is time we gained a new perspective, seeing fat for the nourishing, hunger abolishing, energy giving nutrient that it has always been. Feel like you could use a bit of help to get started? Contact our coaches! We have Low Carb Coaching, Keto Coaching, Meetings, and more! Prefer to do things on your own? Then we sure to check out our handy Guides to Keto.